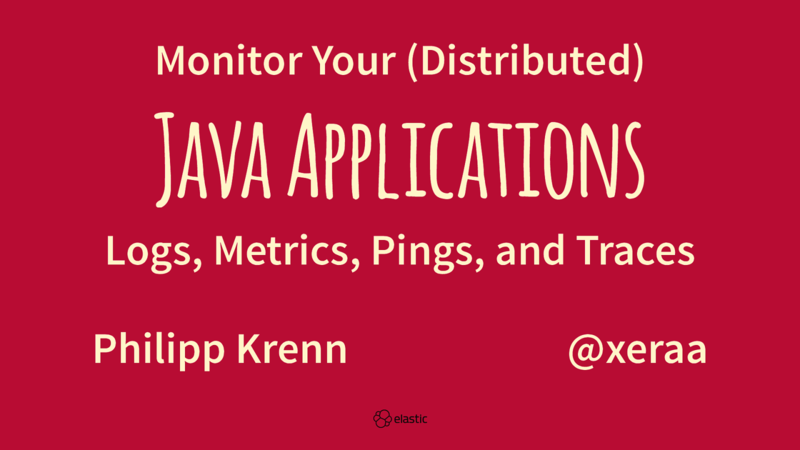 View Monitor Your (Distributed) Java Applications: Logs, Metrics, Pings, and Traces. Application metrics: Get the information from Boot's metrics and health via REST or JMX. Request tracing: Trace requests through a distributed system and use Kibana to show how long each call takes. And we will do all of that live, since it is so easy and much more interactive that way.